Scientists and Māori agribusiness have teamed up to learn about mānuka DNA variation, beehive stocking rates, and honey bee food resources. As the mānuka gold rush continues to soar, New Zealand’s honey bee population is increasing: there are now more than 875,000 registered beehives across the country, twice as many as 15 years ago. The majority of New Zealand’s natural mānuka populations are growing on Māori-owned land. Māori agribusiness is working with Manaaki Whenua – Landcare Research scientists, Plant and Food Research, and the University of Waikato, in a five-year project that sets out to answer these questions and best maximise this opportunity. 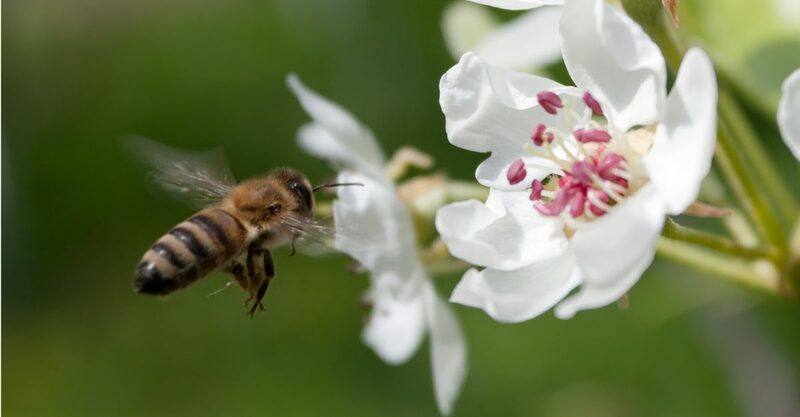 “We commonly refer to it as the Honey Landscape, and really it’s about trying to understand how many hives we can have out on the landscape,” says Manaaki Whenua – Landcare Research scientist, Dr Gary Houliston. The Honey Landscape aims to create a comprehensive model of New Zealand’s native honey landscape, blending science and tikanga Māori to help Māori landowners increase honey production while still sustainably managing the native mānuka and plant species. “We want a tool that a landowner can use to assess their property for how many hives they can actually place there. They would take our tool, consider what is on the land, look at what sort of vegetation they have, and assess how many hives they’ve got or can actually run on the land without experiencing the loss they are having,” says Dr Houliston. The project starts by digging deeper into the roots of native mānuka growing on Māori land. Researchers are working with Māori landowners to collect leaf samples from natural mānuka stands, extract the DNA, and see how mānuka varies in genetic makeup across a landscape and region. “A lot of research has been done on the honey. Not a lot of research has been done on the actual resource itself,” says Ngati Porou’s Victor Goldsmith. The sudden increase in international mānuka honey prices in the last decade has encouraged large commercial entities to jump in on the gold rush, but at a rate that food resources and honey bees can’t sustain. While there are stocking rates for beef and sheep farming, there are none for beekeeping. Without a stocking rate model, hundreds of hives can be placed on neighbouring properties, which results in bees being overcrowded, causing disease to spread faster and ultimately kill more honey bees – something researchers hope to change. “We lose about 10 per cent of the hives each year, and this is partially due to overstocking – the bees basically don’t have enough food and don’t produce any honey or they consume all the honey in the hive,” says Dr Houliston. “But if you understand what that stocking rate can be, we can possibly maximise the return from the number of hives and the amount of honey you are getting out of each hive,” he says. With the competition in the New Zealand mānuka honey industry now the highest it’s ever been, a deeper understanding of the mānuka variation in each region is something Māori industry groups hope to use to help market their unique product. “While we have a really good story that can sit behind our province story that we would be able to tell people overseas, especially if they are buying some of our mānuka honey products, I need to be able to back that up with some western science,” says Goldsmith. Over the project, researchers will also collect and test samples from other common honey bee nectar and pollen resources, to have a deeper understanding of what’s being collected across an entire piece of land.